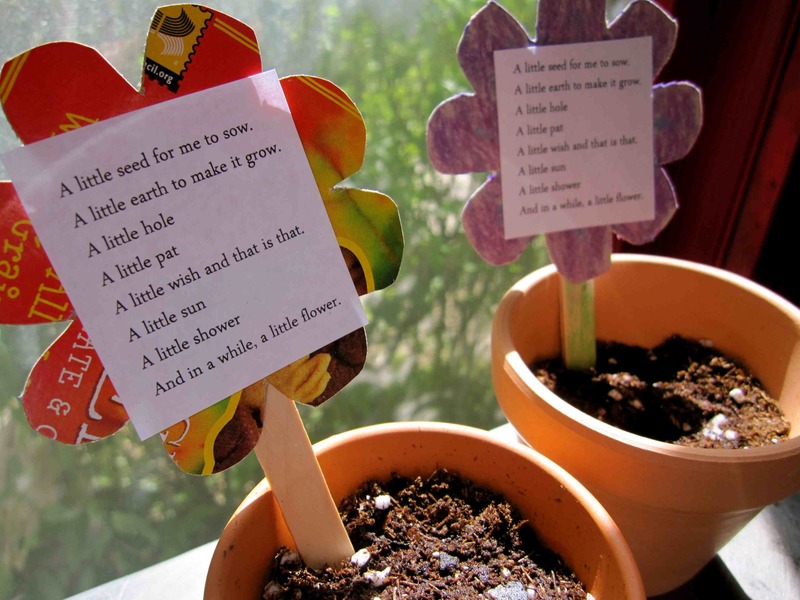 Sunday was Earth Day and it’s also National Poetry Month! 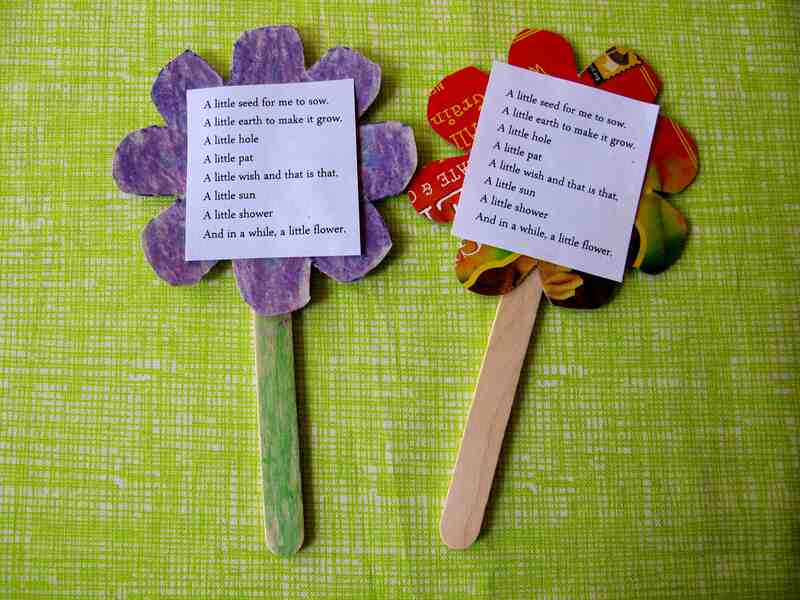 So, yesterday as a part of the ongoing festivities for poetry month, the storytime theme was “Poetry in Nature”. After reading a few poetic books about nature and the world, we made a “Plant a Poem, Plant a Flower” craft. 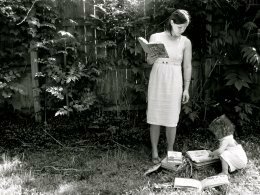 One part grown in the library, the other to be cared for and grown at home. And then we sang “Kumbaya”. Read this one in January for the KC Mock Caldecott. 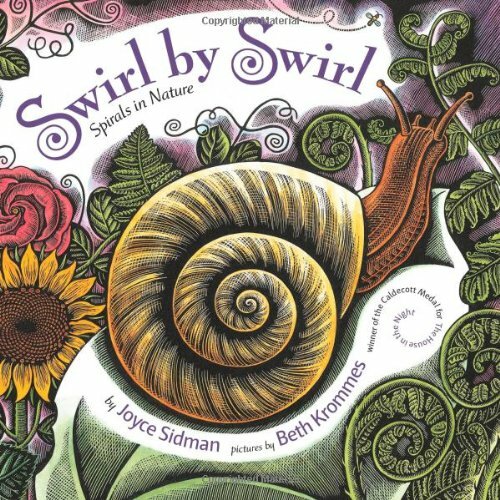 Each page I had the kids point out where the swirls were. 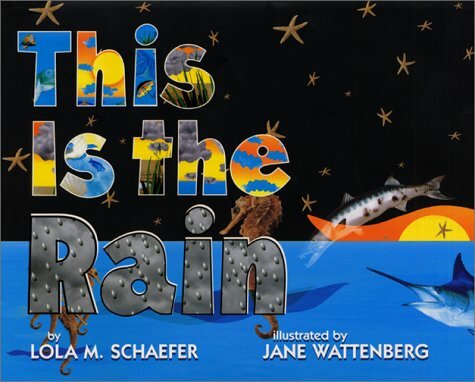 A book about the water cycle. With dinosaurs!? I couldn’t resist sharing my new favorite children’s poetry book with the storytimers yesterday. 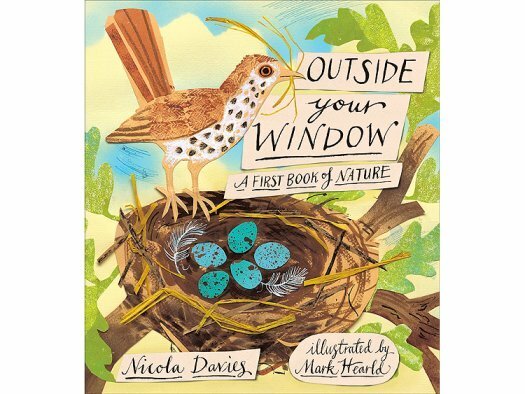 Nicola Davies is a beautiful writer and Mark Hearld’s illustrations are full of whimsy. 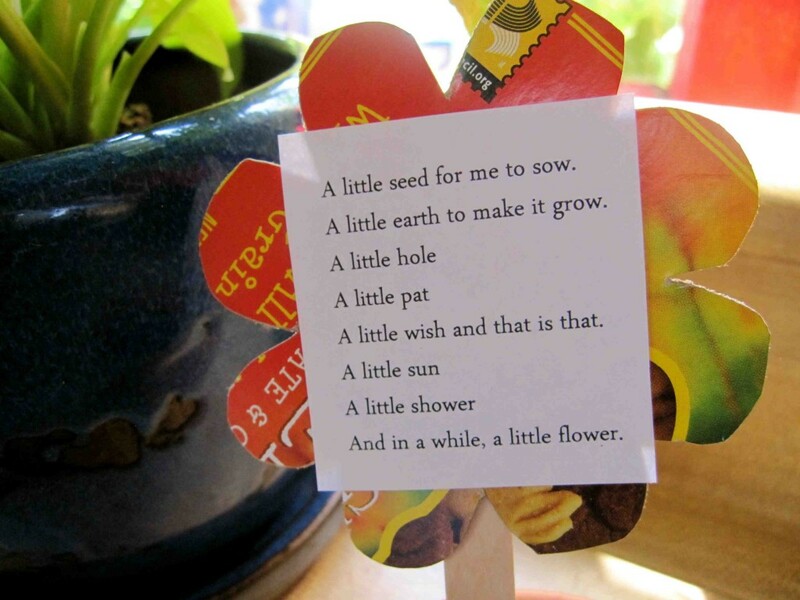 I choose to read the poem “Worms”, because earth worms are one of the world’s greatest recyclers. 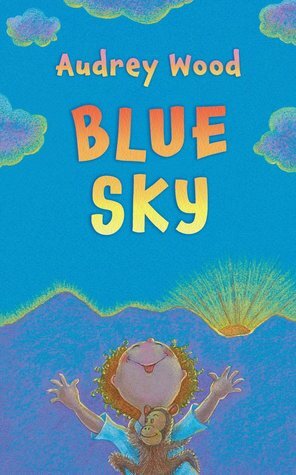 A fun book for younger kids about the many moods of the sky. 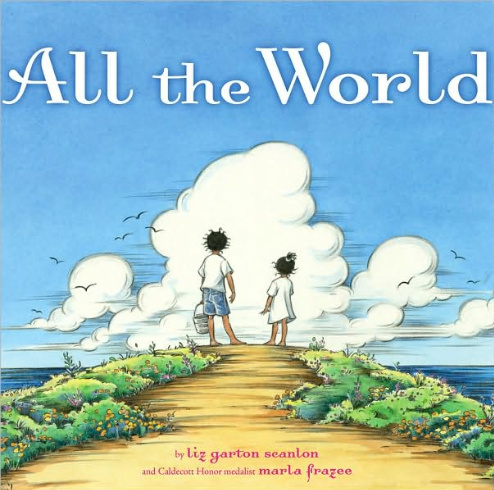 A sweet and simple about one day and all the world. This was a two part craft. 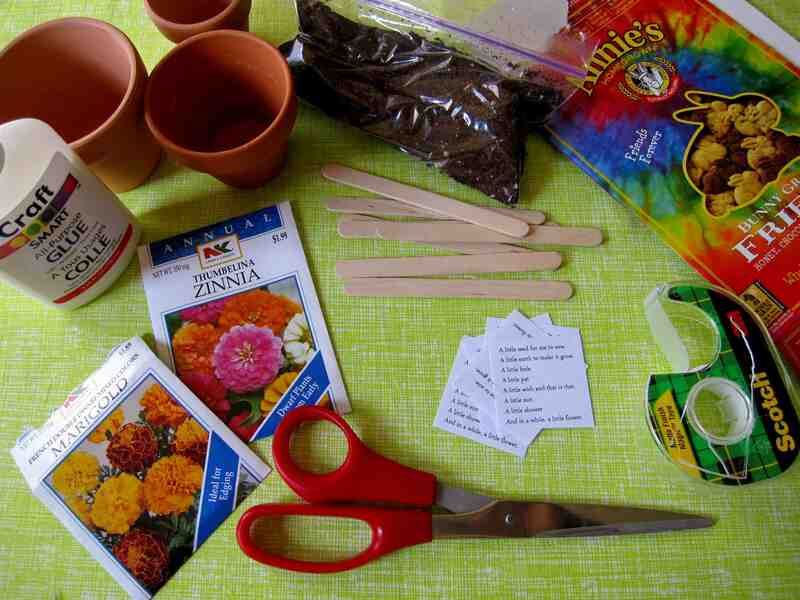 Part one was the plant stake poems that were made at the library and then after the kids were done making their craft, the received a baggie of potting soil, a few flower seeds, and a mini terra cotta pot to take home. Materials used included flower seeds, potting soil, terra cotta pots, poems, scotch tape, scissors, cardboard box(es), and popsicle sticks. Glue and crayons/markers optional. 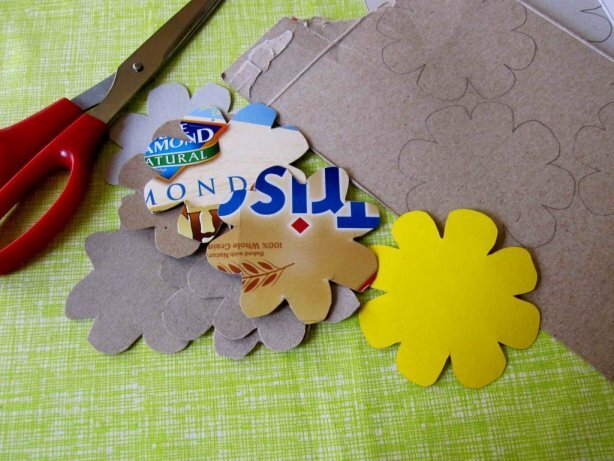 Using a flower stencil, I traced and cut out flowers from cracker and cereal boxes. 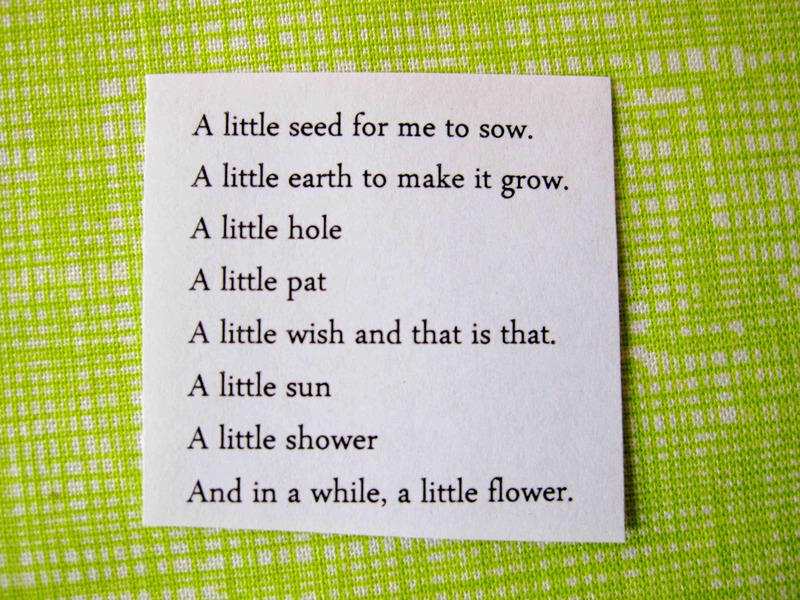 I also cut out a poem about gardening. The above was all done as prep before storytime. 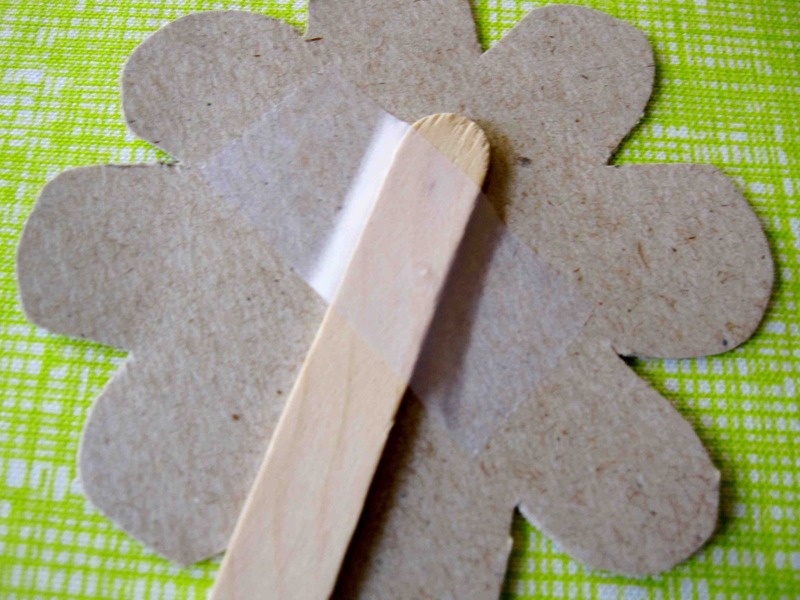 When it was time to make a craft after reading, all the kids had to do was tape or glue a flower to a popsicle stick. And then decorate their flowers whichever way they preferred. They could use the printed side of the cardboard box as the front and glue the poem on OR they could have used the backside of the cardboard box and decorated it with crayons or markers. 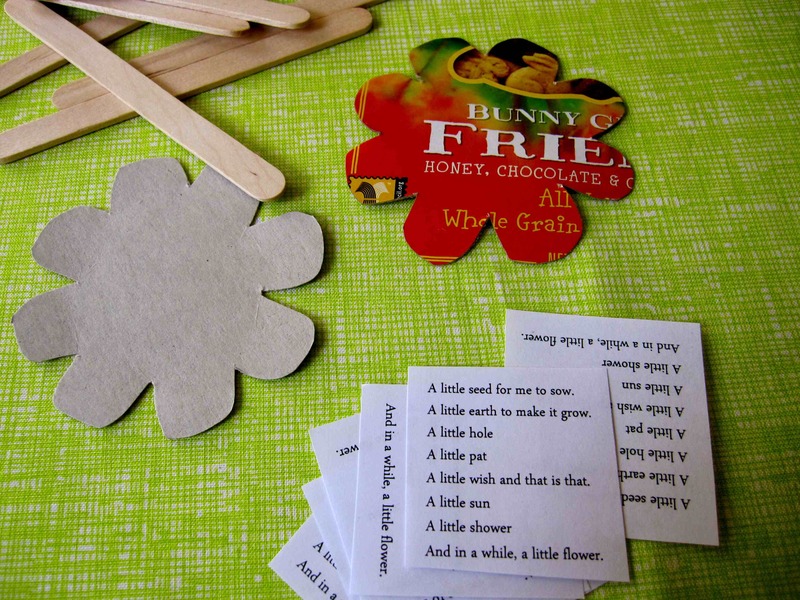 The finishing touch was taping/gluing the poem in the middle. 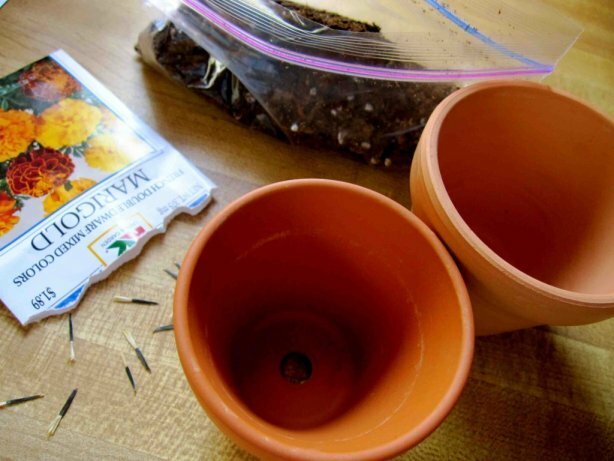 After their plant stake poems were finished, I handed out a mini terra cotta pot, a baggie of potting soil, and a baggie with 3-4 marigold or zinnia seeds. 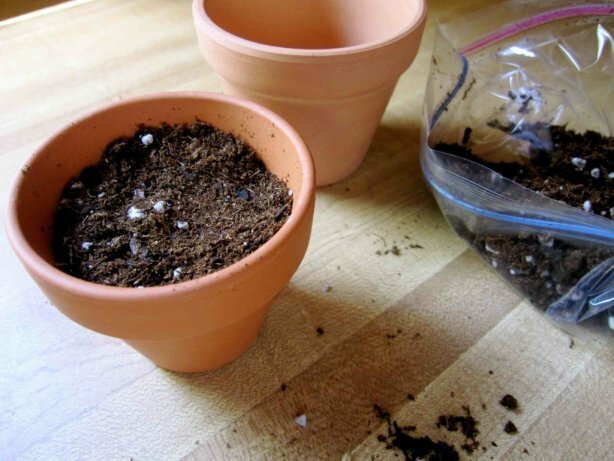 Step two to be continued at home….. 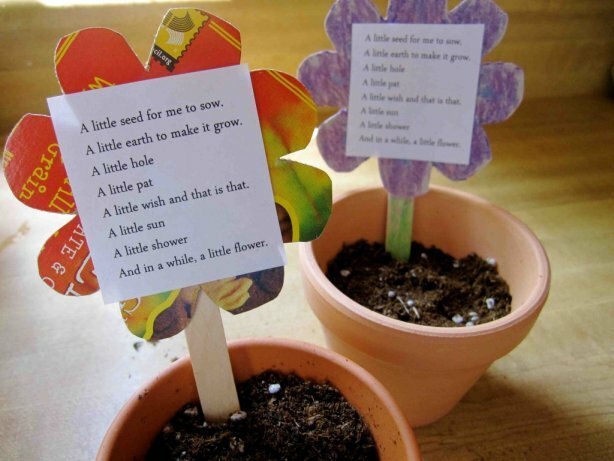 I love this idea so much, I’d like to use it in an Earth Day Craft round-up for my blog. Would that be okay? Sorry for the late response! Yes, absolutely! 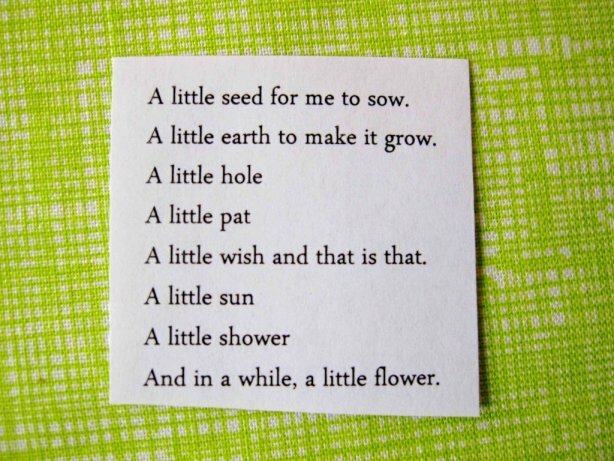 Happy (late) Earth Day! !